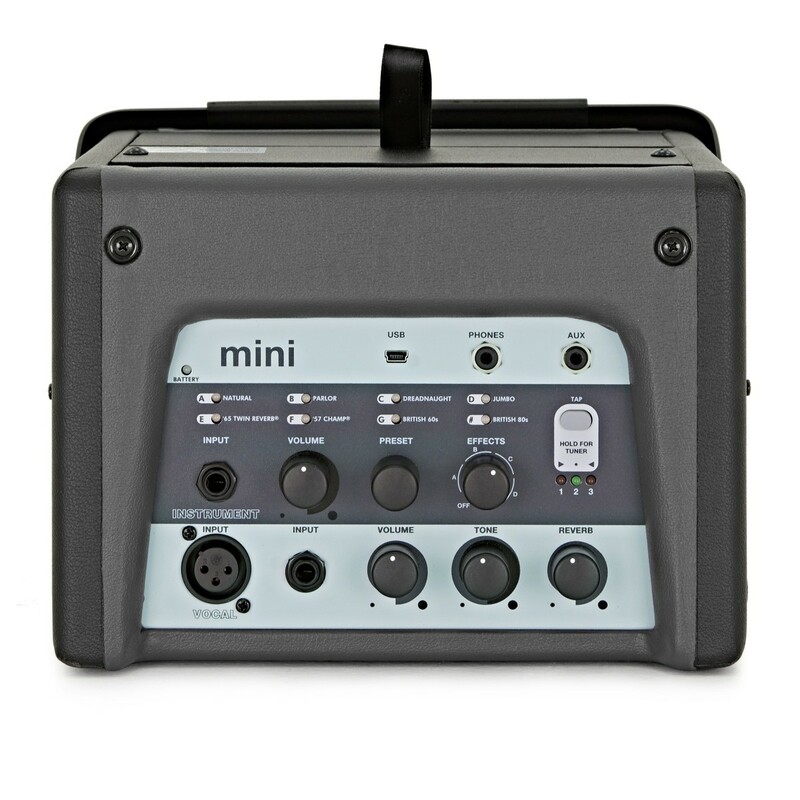 This handy little tool is a great, conveniently portable amplifier with some fantastic features to explore. 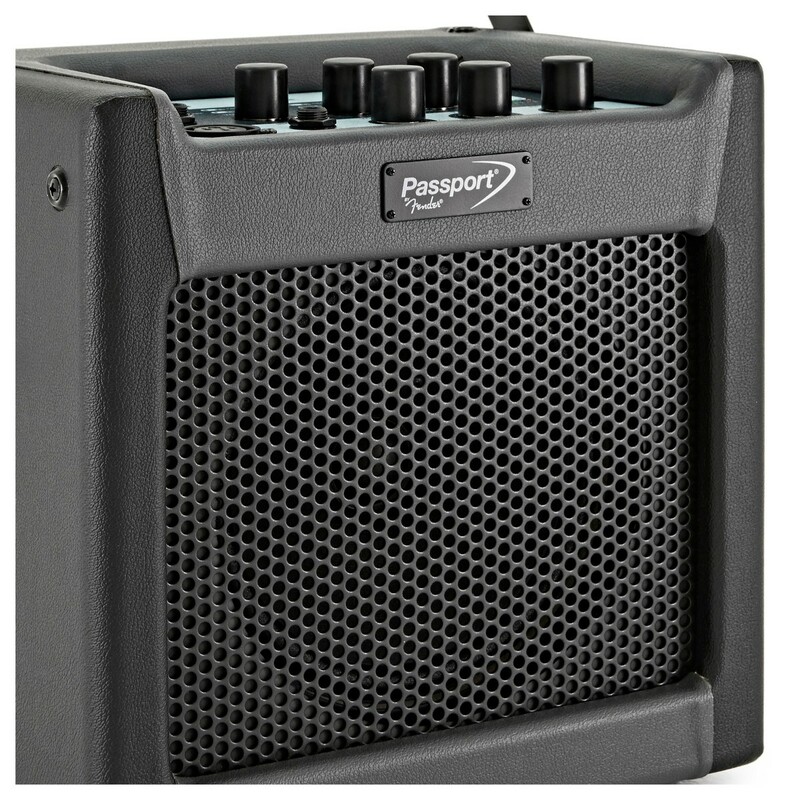 The Passport Mini can be used with any electric instrument or microphone. 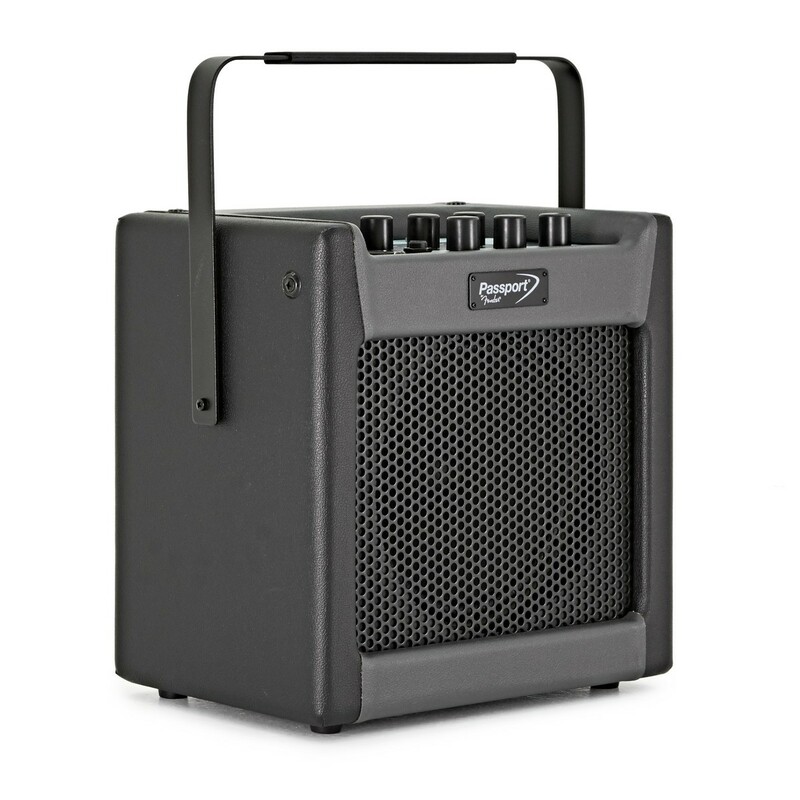 Great for street performers or students looking for an amp that's compact yet featured. 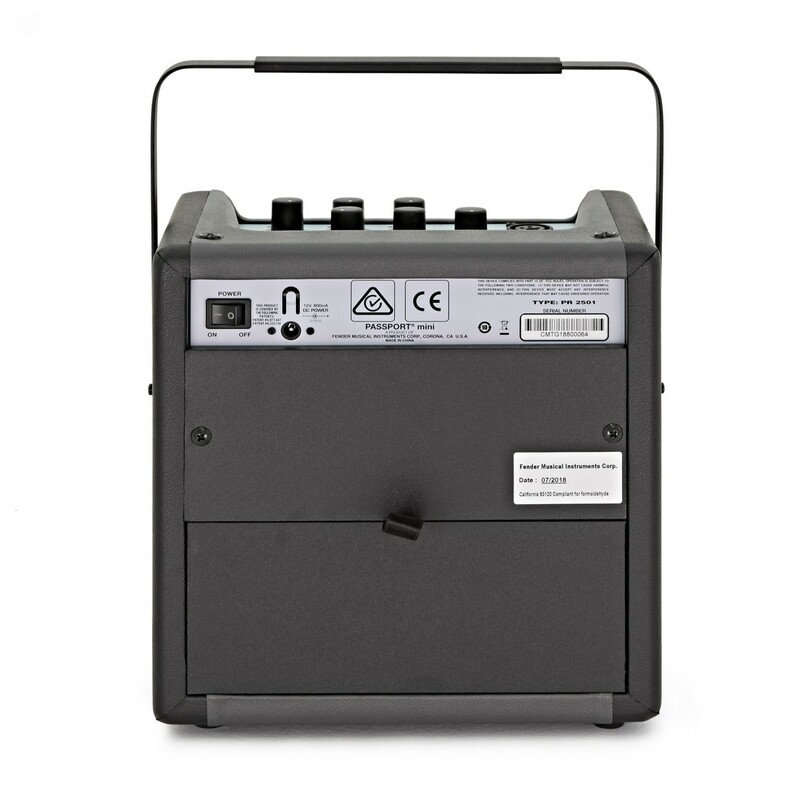 You can even use it as a basic public address system for events and presentations. 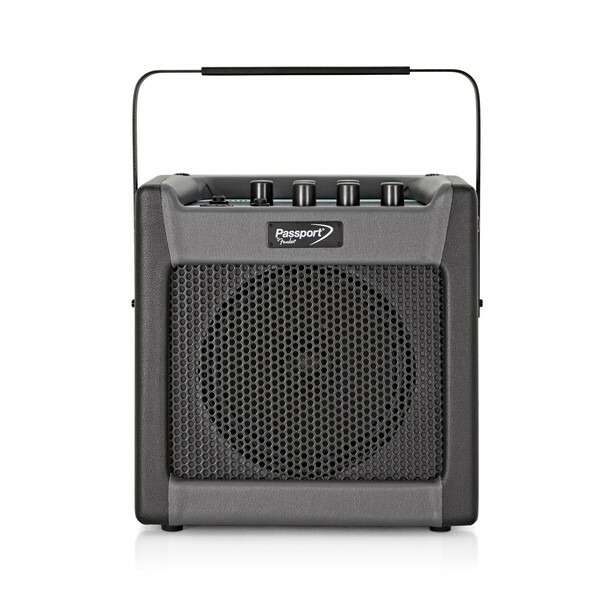 Its dual AC- or Battery-powered capabilities make it a good amp to take around. You can also use it as a music media playback system or computer recording interface. 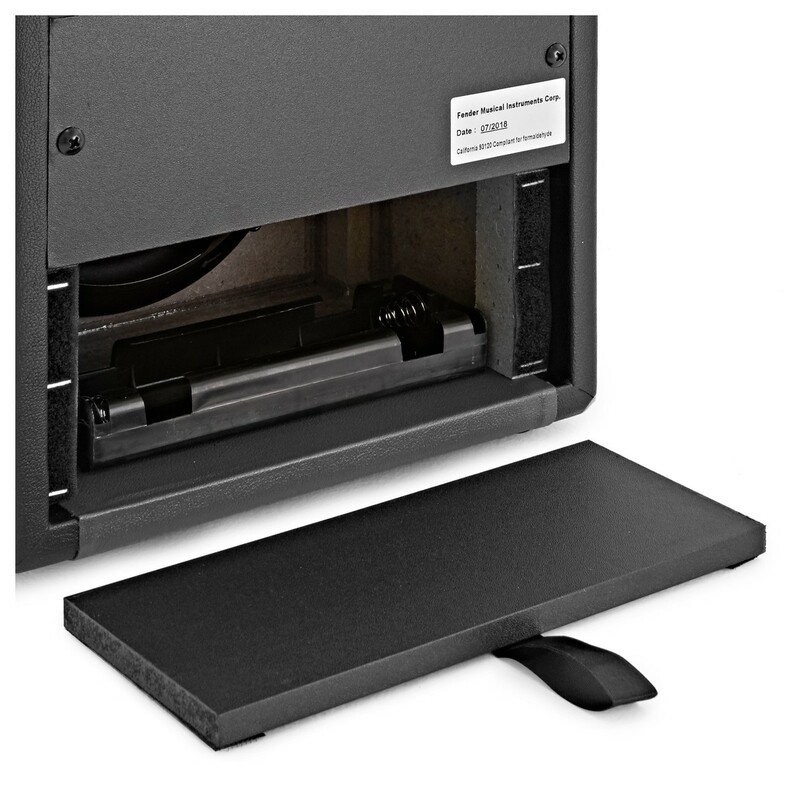 The Passport Mini comes with a universal AC power supply. 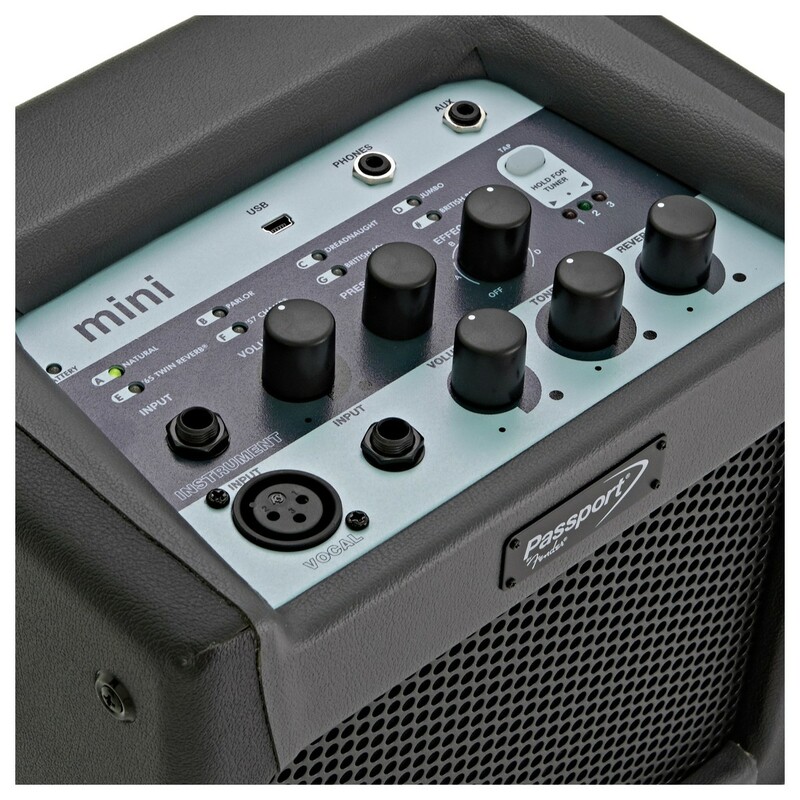 The Passport Mini boasts an Instrument channel with 24 presets (built from 8 amp models), which are optimised for acoustic and electric guitars and other instruments, so it's easy to just take out of the box and start playing. It also comes with 12 effects and you can get more with free Fender FUSE software. The amp features a Tap Tempo button for adjusting delay time and modulation rate, and a convenient digital chromatic tuner. Connect a Media Player or Some Headphones, or Get Recording! The AUX input provides the option of connecting a media player, while the Stereo headphone output allows you to plug in and practice in silence or through another line-out. It also has a USB connection for FUSE application and digital recording output and includes a USB cable.